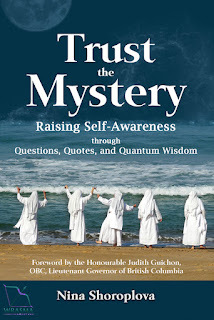 Trust the Mystery: Raising Self-Awareness through Questions, Quotes, and Quantum Wisdom couples engaging storytelling with provocative quotes and questions to inspire Nina Shoroplova’s readers into observing and reflecting on their own journey with greater self-awareness. Readers find their unique, essential place within the mystery. Shoroplova’s simple, personal stories explore emotions, senses, and energies | the chakras | the mind and all its layers | the word and the interpreter | quantum physics, Fibonacci Sequence, and sacred geometry | divination tools | alternative healing modalities | paranormal activities, intuition, and synchronicity. She challenges her readers to engage with the mystery through time, talent, and treasure | people, processes, and products | writing, righting, and riting | body, mind, and soul | dis-ease, ease, and wholeness. Trust the mystery to align fully with your true Self. 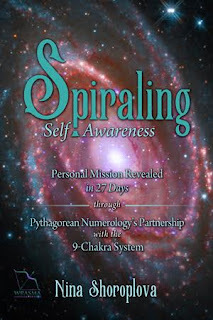 Personal Mission Revealed in 27 Days through Pythagorean Numerology’s Partnership with the 9-Chakra System. Spiraling Self-Awareness will grow readers' awareness of their uniqueness through twenty-seven days of simple exercises. Journaling their progress will reveal their passion and the mission through which they will express that passion. Self-awareness is an essential tool to increase our success in the world. Self-awareness is a simple tool to employ—through intention, it can grow every day. Self-awareness allows us to live fuller, more abundant, and more rewarding lives. Spiraling Self-Awareness uses the wisdom that comes to us through the resonance of partnering the nine-chakra system with Pythagorean Numerology. This ebook also includes material about several Major Arcana cards in the Rider-Waite Tarot Deck. Word etymology brings more light to bear on the journey. Are you publishing two books in January? Yes, on January 25 (or as close as I can make it with all the technologies involved), I am publishing two ebooks through my Wrasma Marketing indie-publishing imprint. 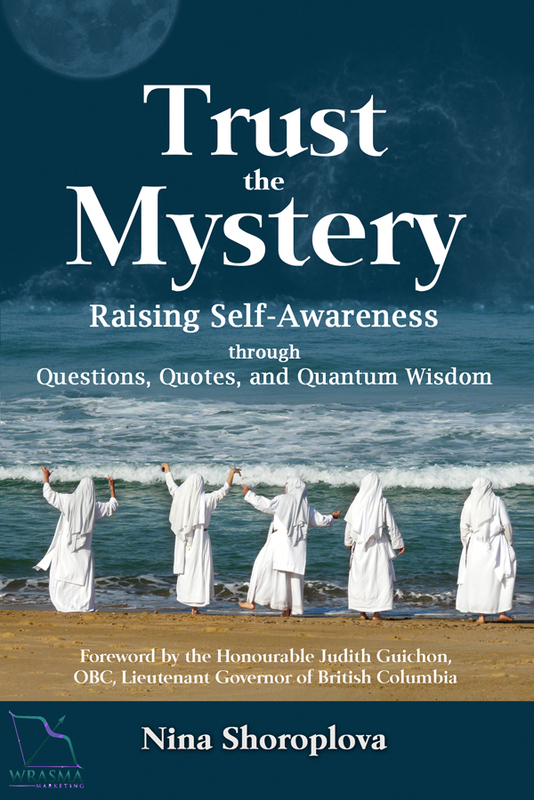 Trust the Mystery: Raising Self-Awareness through Questions, Quotes, and Quantum Wisdom was previously published by Influence Publishing in 2015 as a paperback. At that time, the book was called Trust the Mystery: Questions, Quotes, and Quantum Wisdom. It’s still available that way through my store (TrusttheMystery.ca), through Red Tuque Books (www.redtuquebooks.ca), and through third-party sellers on Amazon. But I didn’t feel the ebook community had a fair opportunity to read it the first time around. Now that I have a Kindle myself, I really understand the appeal of reading ebooks. So I’ve revised my original manuscript and simplified the formatting for ebooks and will be bringing it out as a second edition through Amazon’s Kindle platform on January 25. It’s somewhere around 94,000 words, so it’ll be in the $9.99 USD price range and on at the reduced price of $2.99 for the first five days. It’s a great book for reading slowly and for growing into its revelations. Journaling alongside really helps. The second ebook is Spiraling Self-Awareness: Personal Mission Revealed in 27 Days through Pythagorean Numerology's Partnership with the 9-Chakra System. This is a first edition. I’ll be launching it through Amazon’s Kindle platform on January 25 as well. It’s a much shorter book at around 15,400 words, so I’ll be releasing it for free for the first five days and thereafter, its price will be $2.99. Again, journaling alongside really complements the process. Why are you publishing them both on the same day? Do they have something in common? Yes, they do. 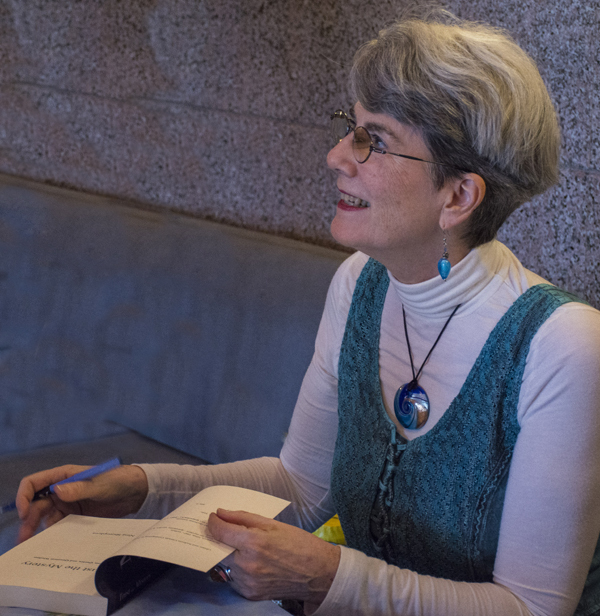 The purpose of both books is to raise readers’ self-awareness of their part in the mystery; each of us has an essential and unique part in the mystery. That’s why I added “Raising Self-Awareness” to the subtitle of Trust the Mystery. What’s the appeal of self-awareness? If they’re both about self-awareness, how similar are the two books? The purpose of the two books is the same—raising my readers’ self-awareness. But Spiraling Self-Awareness is a sixth of the length of Trust the Mystery, and so it doesn’t go into all the areas that Trust the Mystery does. In fact, Spiraling Self-Awareness concentrates on combining the qualities, properties, and wisdom of the nine-chakra system with Pythagorean Numerology. I also throw in some insights from word etymology (the history and cultural origins of words) and the meaning of a few of the major arcana of the Rider-Waite Tarot Deck. How do you combine those two methods? Well, the basis of Pythagorean Numerology is in the esoteric and symbolic meanings of the Arabic numerals 1 to 9. The person that I’ve studied with also assigns meaning to the look of these numbers when they are depicted as numerals. For instance, the number 3 is looking back to the left to its parents, 1 and 2. It is created from two open circles facing to its past (the left). Thus, it depicts creativity—a male mates with a female to create a child. Every number higher than 9 can be understood in at least two ways—by its actual numbers and by its reduction. So, 33, which is actually a master number with double the power of 3, has the attributes of both 3 and of 6 (3 + 3 = 6). Over the course of the 27 days, I weigh in on numbers 1 to 27. The nine-chakra system focuses on the seven major chakras of the body, plus the eighth chakra, which is the Higher Self, and the ninth chakra, which is the Divine Source of All That Is. So while the numerology information goes from 1 to 27 once, the chakra information goes from 1 to 9 three times, that is in three spirals. Hence the word “spiraling” in the title. The two systems combine on Day 3 in the ebook, as an example, with a discussion of the third chakra (the solar plexus chakra) and the numeral 3. That day is entitled “Listen to Your Body and Nourish Yourself,” because the solar plexus chakra governs the creative transformation of the elements with which we feed ourselves (with more than just food) into our personal power in the world. What’s your writing process? Did you use the same process for both books? No, not by a long shot. I took years to write Trust the Mystery, going from MS Word to Scrivener and back to Word and I struggled with the best order for the content for quite a while. Then I sent the manuscript to an editor and a proofreader and to a hybrid publisher, Influence Publishing to help with the ISBN and so on. On the other hand, Spiraling Self-Awareness took me only one week to write (on average about 2,000 words a day), probably because I have been mulling over the knowledge provided by the chakras and numerology for years, decades actually. I wrote it in Scrivener, poured that into calibre (an ebook management software tool), and then took the next couple of weeks to edit it, and to tidy up the html (web development markup language) and the css (the Cascading Style Sheet) until now it looks wonderful. I’m thrilled with it. The other difference is that Trust the Mystery uses Canadian spelling and conventions, whereas Spiraling Self-Awareness uses American spelling and conventions. This is something that probably only an editor would realize, but as a book editor, I notice this level of detail. Thank you, Marilyn, for the opportunity to tell you about these two ebooks. It certainly is an exciting adventure and it’s wonderful to have some companions along the way! Readers can receive a free pdf copy of the first chapter of Trust the Mystery (second edition) by signing up for my Whole Health on Purpose newsletter (sign up is on the front page of ninashoroplova.ca). This Virtual Book Tour runs from January 9 until January 27, 2017 and I’ll be hopping from one destination to the next. More information is available on my website at Virtual Book Tour Schedule (NinaShoroplova.ca/home/vbt-schedule). 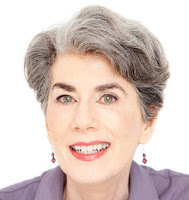 A truth seeker and a supportive guide, Nina Shoroplova is a book editor, a healing minister with the Anglican Church of Canada, and a co-leader of the Vancouver chapter of the International Association for Near-Death Studies. Her journey in service of others includes working as a holistic nutritionist, a soul realignment practitioner, and a spiritual counsellor. Thriving on contrast, she has embraced life on three different continents in the heart of cities and on the land. 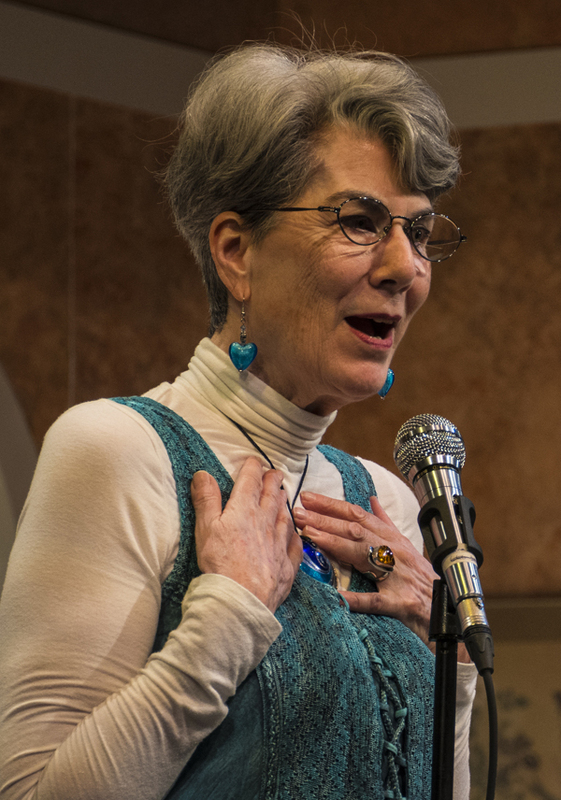 With one foot in Christianity and the other in esoteric soil, she seeks to understand her essential part in the mystery through self-awareness.